Why Does Japan Struggle With English? With such a progressive and technologically advanced culture and society, Japan is often thought to be ahead of its game. Many of the biggest names in business and technology that are recognized globally are indeed Japanese companies. And it’s no secret that during the last half century or so, Japan has become increasingly more Westernized than it’s ever been, to the point seemingly idolizing Western culture. “Eigo,” or English, is a required skill taught as a mandatory component of all Japanese public education establishments from as early as elementary school. Many jobs are even shifting to include English as a mandatory work skill. When you walk into almost any major city in Japan, you now find English translations almost everywhere, making it a very tourist friendly place. However, chances are once you open up your mouth to speak to one of the staff, these normally customer-first hospitality minded people will soon become shy and lacking in confidence, replying with a simple “sorry, no English” to save face. In fact, there was even a strange case recently where an establishment faced trouble due to this lack in English. In an article from the NHK, it was discovered that an elderly employee at Shinjuku Gyoen, a park and a huge tourist attraction in Tokyo, had been allowing foreign visitors into the park for free, despite normally requiring the purchase of a ¥200 ticket (about $2), resulting in loss damages of approximately 25 million JPY over the course of the last two years. When asked why he did this, his response was that he was afraid to talk to the tourists in English and tell them they needed to pay. Why is speaking English such a huge fear amongst the Japanese? If Japan is so “eigo-gentric,” why do so many still struggle? After being an English teacher myself in Tokyo for several years, the reasons became all to apparent. Not only did I experience them firsthand, but soon enough, I realized it wasn’t just isolated to my school. This was a nation-wide epidemic. It was a recognizable fact that when it comes to effective language education in Japanese society, they were severely lacking. English Teacher or Drill Sergeant? My first criticism of the English education system came when I started teaching as an ALT (assistant language teacher) in a middle school in Saitama via the JET program. Don’t get me wrong, I absolutely adored my school and its students, and teaching was a wonderful experience as a whole. However it also allowed me to witness many of their curricular flaws first hand. The first was the way in which the school employed the ALTs. Drills and reading practice was a huge part of the lesson plan. I spent most of the classes reading off vocabulary lists and short textbook passages only for the students to parrot back to me what I had just said. This pattern continued for every lesson, every month to follow. I began to wonder, “Why am I even here?” I long awaited the time when we would move away from the repetitive drills and move on to actual conversation practice. It never came. I began to feel I was no more than a record player. A drill sergeant if you will. I was literally just reading off the same exact words and sentences that would have been read by an automated voice on the accompanying audio CDs if I hadn’t been there. I couldn’t understand why they would invite and pay for a native English speaker to come from the other side of the world to do the same exact thing that their audio CDs did. Wasn’t the purpose of having an English-speaking human there to make the lessons more interactive? Like attempt conversations? Offer feedback? Actually teach? At first I wondered if my school was just a little too old-fashioned. However soon I would realize that it wasn’t just my school. I began to hear the same criticisms from fellow ALTs in others schools in other cities. It was literally every public school in the country. While not every school has the budget to invite teachers from other countries, the ones that do often don’t realize what a privilege it is, and fail to take advantage of the opportunity. From what I’ve seen, many students are actually excited to have ALTs at their school, but are just really shy and unsure how to approach them. 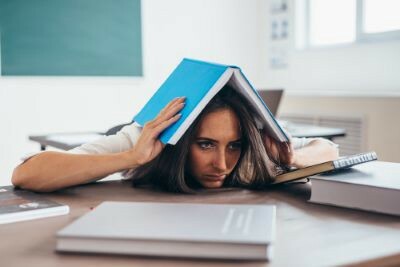 However, instead of using that chance to familiarize the students with the ALT, because of the course requirements, ALTs are often forced to toss their native abilities on the back-burner in favor of repetitive drills and structured reading-aloud sessions to prepare the students for tests. The main problem I came to realize was that the education system was primarily focused on textbook teaching. In a society in which practically every aspect of your worth is determined by status, grades, and test scores, what most teachers and parents are concerned about is how well their child scores on a test, rather than how the lesson is taught. What they fail to realize is that while the lessons serve their purpose for passing paper tests, it is nowhere near enough to teach actual real-world language skills. Think about it. When was the last time you told someone you like to play tennis, or that the object in your hand was, in fact, a pen, in a natural conversation? The issue is that students are learning vocabulary, and know how to read, but have no idea how to listen or understand. When looked at on a larger scale, one can see the effects of this in how low Japan ranks in comparison to other countries in terms of English abilities. This article from Rocket News breaks down 72 countries by rank and in 5 categories of English ability: very high, high, average, low, and very low. Now, there is nothing wrong with using textbooks in the classroom. In fact, it makes sense to have a structured curriculum as a way to plan ahead and measure progress. But there should also be a level of flexibility when it comes to how the lessons could be taught. If a more efficient way is being offered that teaches the same thing as the text, wouldn’t it make more sense to implement that as well? On the subject of textbook teaching, another issue arises: the quality of the textbooks being used. Many of them are old and outdated, and teach phrases and expressions that are rarely used in a real-world modern-day conversation. Not only that, but the topics covered in the textbooks tend to be either over simplistic, or overly complicated. If they weren’t learning how to tell their friends that they like tennis, then they were learning about recycling and its effect on the ecosystem. Last time I checked, I didn’t talk about either of those things with my friends. Where were the chapters that focused on real-world experiences? In my opinion, there should be more focus on more applicable skills, and less on the others. The kids could learn about pollution and the environment in their high-school level English courses, but should probably focus on building up their foundation first. With Japanese education failing to instill a practical knowledge of English in people, it’s been left up to others to pick up the slack. In this video, Chika — a.k.a. Bilingirl, perhaps the most popular English education YouTuber in Japan — brings two friends together to explain the differences between American and British English pronunciation. Of course, another important part of real-world language use is learning how to properly say the words. 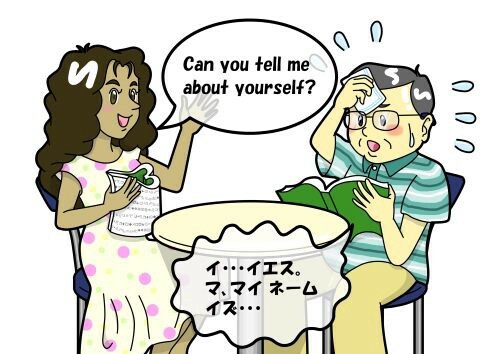 With their native language having already adopted so many foreign words in the form of katakana-English, learning real native pronunciation is often neglected when they feel they can already understand each other well enough. However, the purpose of learning a foreign language isn’t to be able to understand other foreign learners with the same incorrect pronunciation as yourself, rather to be understood by people around the world and native speakers of that language. Especially when the target language has so many unusual sounds that are not found in your own language, rather than glossing over them one should take the extra effort to learn how to produce those sounds. The biggest example I can think of is the difference between L and R. While it might not make much difference in Japanese, and a Japanese might be able to understand when you say “I go to CLAM school” (instead of CRAM school), to a native speaker it sounds silly and one might stop to wonder if you are actually learning to fish for clams. Now there is nothing wrong with having an accent. Accents are a beautiful part of living in such an internationally diverse world. However when it comes to a matter of understanding and being understood, I believe effort should be made in learning how to properly pronounce the sounds that make the difference. Japan is also pretty famous for its culture of perfectionism. It’s not just a stereotype, but something so ingrained into society, many people are actually afraid to make mistakes. Students especially, at a time in their life where reputation and how they are seen by their classmates is so important, are often too shy or afraid to attempt speaking English for fear of making a mistake and sounding foolish. However, what many don’t realize is that when it comes to learning a new language, mistakes can be our best teachers. They end up missing out on a ton of opportunities to use and misuse words and phrases, costing them a valuable portion of their education. Finally, students must learn that as with all languages, English has many words and phrases that may make no sense without an understanding of their subtle nuances and the feelings attached to them. While this is never really something that can be “learned,” as emotion and feelings for a phrase is something that comes through experiencing the language growing up, it is something that should never be overlooked. While one may never feel the same emotions a native person might feel when hearing certain phrases, with the proper education, they can be taught to understand what the nuances are, and in what situations such phrases are used. So What is the Main Issue Here? Language is not about memorizing words by heart, but about understanding the way of thinking and feeling behind those words….Words are meaningful sounds that can be said to be the name of the thought or feeling you wish to convey. Japanese people try to understand English through Japanese. But native English speakers don’t think that way. In other words, if Japan would make more of an effort learning how to use English to express and convey their thoughts and feelings, it could make a huge difference in becoming closer to mastering the language. What Can Students and Teachers Do? The solution is much more simple than it seems. First of all, schools need to update their textbooks. Next, with these updated texts, restructure the curriculum so that students are given more opportunities to actually use and apply what they learn, and learn how to produce rather than just read. Finally, if the school is lucky enough to employ an ALT, they can design some fun and useful activities with them, and allow the students more opportunities to talk with them. It is near impossible to learn real English in Japan. That’s because they do not teach usable English Education, rather Japanese-English Education. In other words, in order to learn proper English, the way in which it’s taught needs to come from a place of more focus on the English language itself, rather than the typical Japanese education standpoint of teaching for tests. If English is a tool, then students need to be taught not just what the tool is, but how to use the tool in daily life. I firmly believe that if Japan were to take some time to reevaluate its basic English curriculum, update the textbooks, take advantage of having ALTs, and focus on teaching usability rather than memorization, then Japan could see a great improvement in their English speaking abilities within the next 10 years and beyond. There has been some forward movement recently, such as recently including mandatory English classes in elementary schools, and bringing more exposure to young children in the form of songs and games. However to really make a difference, that would require much more including abandoning many ingrained cultural aspects and developing new ways of learning for all levels. One can only hope that Japan is ready to embrace that. Krys is a US based artist, writer, and translator who has spent most of her life immersed in Japanese culture. She now uses her knowledge and experiences to write engaging and informative articles for those who want to learn more about this unique beloved country. Originally published at unseenjapan.com on October 31, 2018. The Japan you don't learn about in anime. Stories about people and events in Japan, past and present. By Unseen Japan Translation Services.